I’m back on the magical island of Naxos, the largest of the Cyclades islands in Greece, we’ve been here for almost a week. We’ve been here several times before. We had a long day travelling to get from home to here, and I had been suffering from a sickness bug for about two weeks before leaving so was feeling a bit weak and vulnerable. By the time we arrived and checked into our hotel it was late so we made the most of the lovely owners offer of food from their family BBQ and went off to bed. 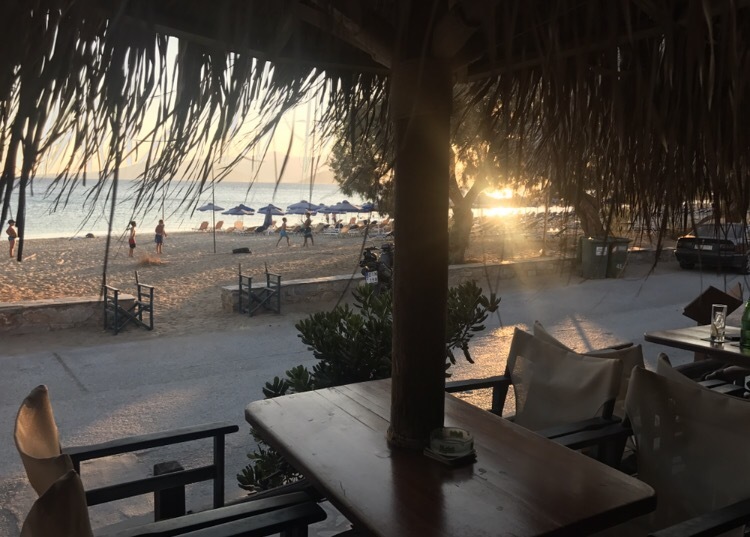 When we woke up the next day feeling more refreshed Mr Gypsie and I headed out along Agi Anna beach and along to Agios prokopios, with one place in mind. 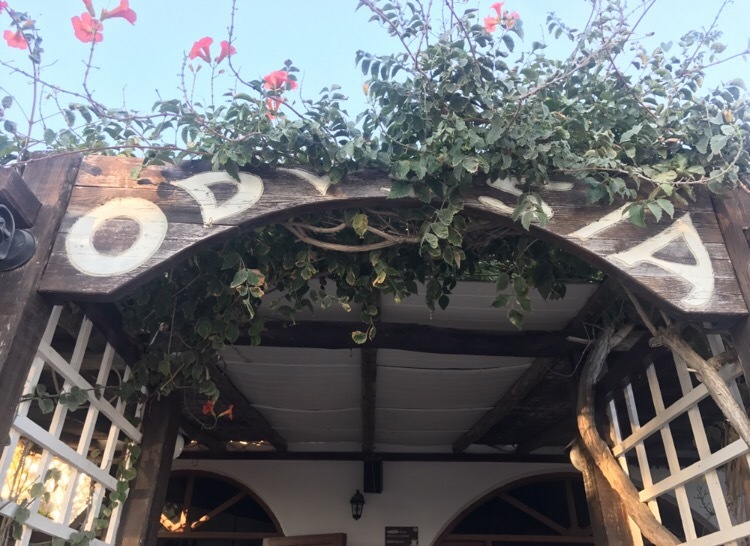 our favourite beach bar Odyssia. 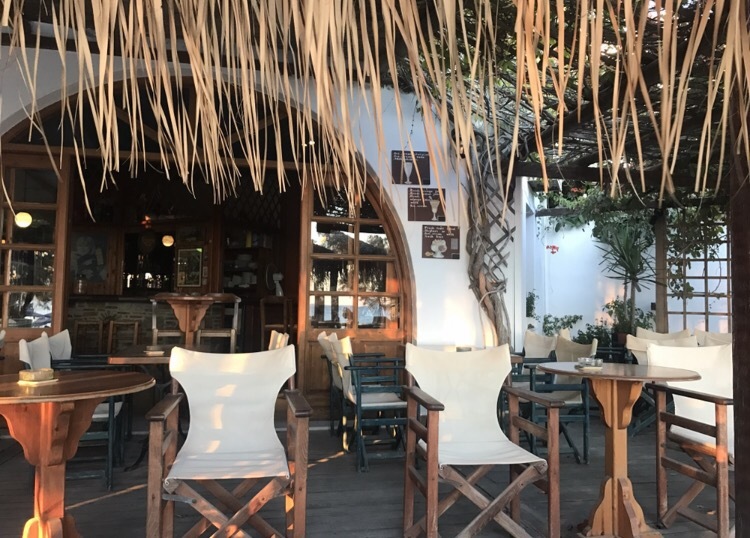 Odyssia is my vision of Greek nostalgia, it kinda looks like it belongs in 70s or 80s Greece, and reminds me of family holidays in my youth, set on the dusty road just on agios prokopios beach, Odyssia is a little shining light. A row of tables nestled under long grass umbrellas line the decking of this tropical haven, and the sign is barely visible under the bright, beautiful coral bougainvillea that decorates the front of the bar, it doesn’t actually look much from the road, but it’s the perfect place to sit and look out to sea and watch the world go by, they also make the best strawberry daiquiri on the island, I’m no expert, but to say it’s perhaps the best daiquiri in the whole of Greece wouldn’t be too much of a grand claim. 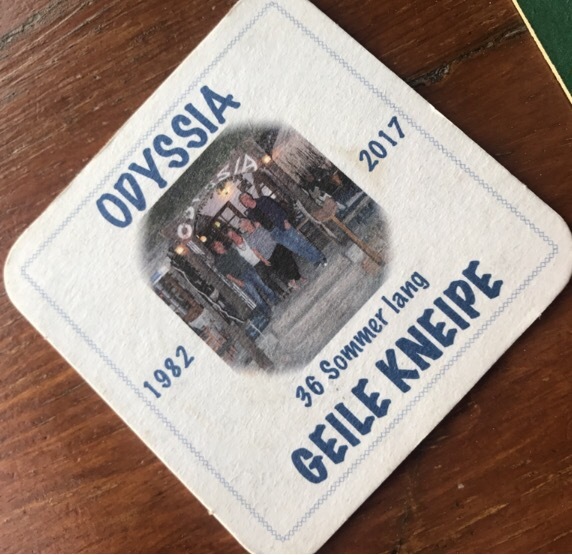 Owned by two German ladies and their partners, It’s got the feel of a local bar, with a good mix of tourists and locals all coming together, it’s like a tropical Cheers. They also play the best music and the gentle sounds of classic pop and rock add to the nostalgia and atmosphere. As Mr Gypsie and I wandered eagerly up to the bar he was convinced that he would be recognised by the owners but I wasn’t so sure. 100s of tourists visit each year. We walked up the two dusty steps and instantly recognised the two gorgeous owners sitting at a table by the entrance. They clocked us, stood up with huge smiles and greeted us like old friends! “Welcome back!” When did you arrive on the island? How long are you staying? 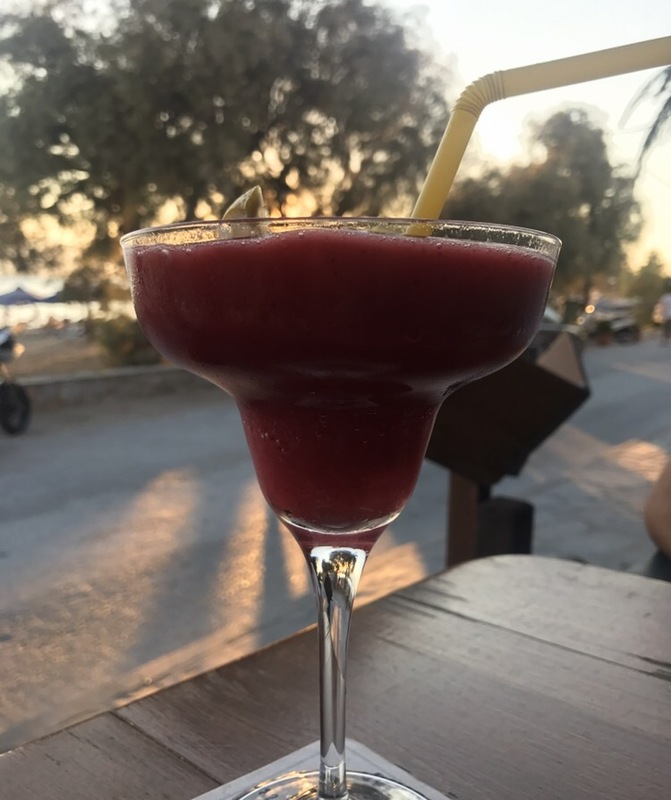 Cleared our favourite table and brought out two strawberry daiquiris. Beautifully written (‘: gorgeous photos as well!